The research program (Bernal et al. 2017) covered very few fishing trips by the artisanal fleet (4-8%) and reported some interactions with seagulls, cormorants, pelicans and petrels but the limited coverage hinders any detailed analysis of the interactions (Subpesca 2017) . Some ETP elasmobranchs are captured by this fishery although they represent <0.5%. The list includes the spiny dogfish Squalus acanthias (vulnerable according to IUCN; (Fordham et al. 2016) ), the large-nose ray Zearaja chilensis (vulnerable according to IUCN; (Kyne et al. 2007) ) and the roughskin skate Dipturus trachydermus (vulnerable according to IUCN; (Lamilla and Massa 2007) ). Sooty shearwater (Ardena grisea): near threatened according to IUCN. 273 interactions. No information on the interactions with sea turtles or marine mammals for this fishery is available. Results were provided separately for regions X and XI (Bernal et al. 2017) (Subpesca 2017) . Overall, a total of 13-14 species of bycatch were identified although none of them represented more than 0.5% of the catch except the tadpole codling Salilota australis, which may represent up to 4.3% in some regions and years. Main species were: the pink cusk-eel Genypterus blacodes, the snoek Thrystes atun, Atlantic salmon Salmo salar, South Pacific hake Merluccius gayi gayi and the black dogfish Centroscyllium fabricii. A total of 15 species were recorded as bycatch, being the main one the Pink cusk-eel Genypterus blacodes which represented 3.7% of the catch (Bernal et al. 2017) . Regarding seabirds, the Research Program (Bernal et al. 2017) reported the interaction of industrial longliners with seabird species, some of them not considered ETP species. Although a detailed description of the magnitude of such interactions is described under Bycatch_ETP, we report here the presence of the Black-browed albatross (Thalassarche melanophris) which represented 61% of the lethal interactions. 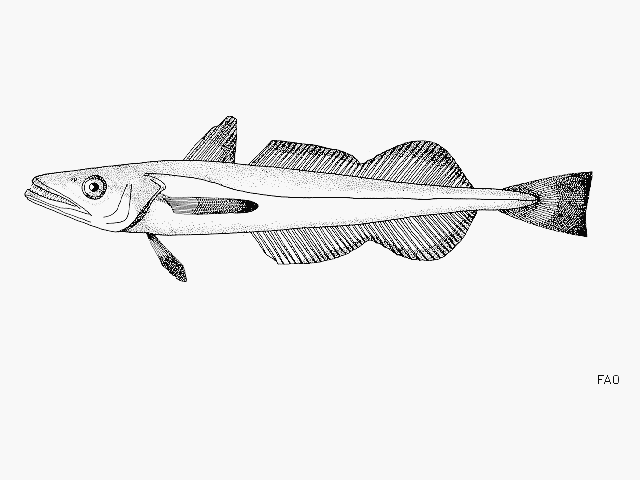 Southern hake is a benthopelagic species (60-800 meters). There is no information on the impact of long-lines used by this fishery on bottom habitats.